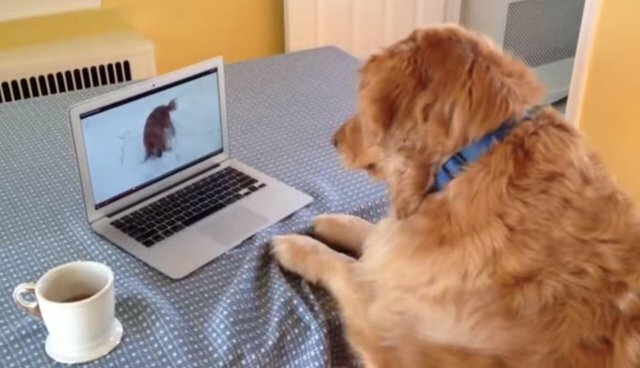 Josie the golden retriever is totally entranced while watching a viral video of a fellow golden playing with his ball - because she really wants to play with him! 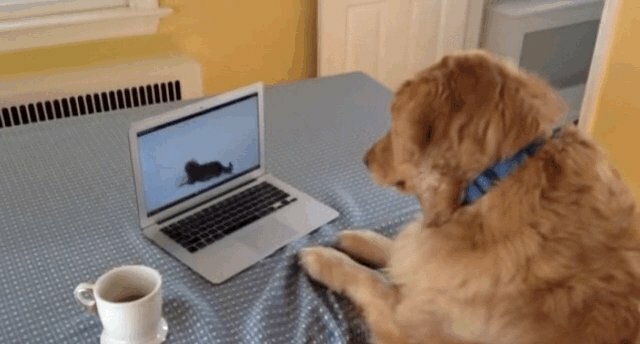 But how on earth is she supposed to play ball with her new pal when he's trapped in the computer screen? "Hey! 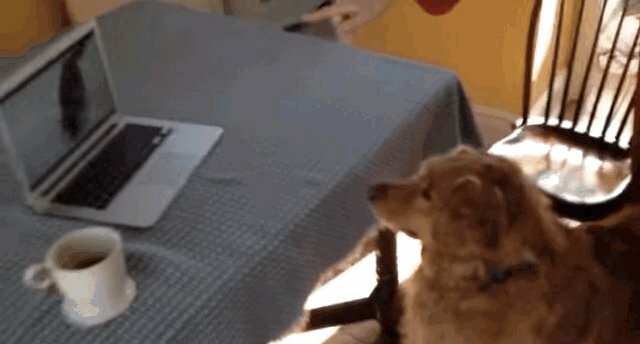 Hey, that's a dog! And he looks like he could be my friend!" "Hello, Dog? It's me, Dog. Can you hear me? Give me a bark if you can hear me." Despite her confusion, Josie simply can't hide the delighted wag of her tail. "Okay, Dog! I am attempting to join you! 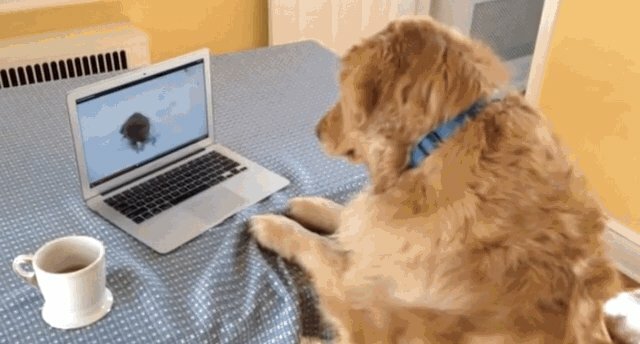 I just have to climb through this pesky computer screen! Gimme just a minute." ... 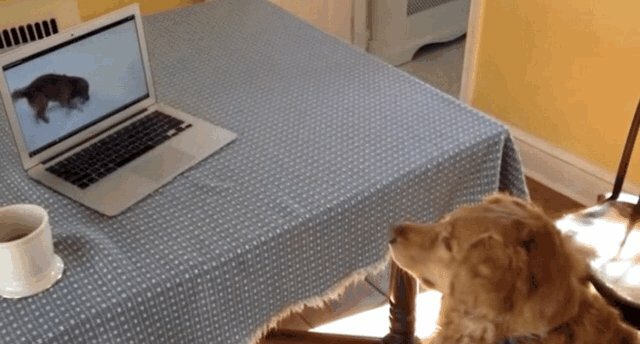 Though Josie's attempted crawl through the computer screen didn't exactly work out (darn you, technology! ), we're sure she'll have plenty of non-virtual snuggles to console her.